Recently, we talked about the evolution of smartphone technology and how it has changed the face of gaming as we know it. But what about the days before mobile? Remember those good old consoles or that Commodore 64 with its datasette that took about five minutes to load? Well, it seems that no matter how advanced our mobile gaming is today, there’s now a big demand for those retro games of the 80s. So, with the massive success of retro gaming in mind, we’ve decided to look at how the industry evolved since the days of Pong. There are many theories about when video games began. The first programs capable of gameplay came about as early as the 1950s, but in truth, it wasn’t until the decade of the arcade machine that video game fever took hold. In 1972, Atari first began to sell the game Pong, and we started to see video game machines appear everywhere from bars to bowling alleys. The public got a taste for gaming, and a new industry arrived. Ask any casual gamer what the first gaming console was, and they’ll likely answer the Atari. The name is synonymous with retro gaming and rightly so. But the truth is that the first Atari Pong console, which came out in 1972, was the second gaming console released. A few months earlier, the Magnavox Odyssey hit the stores, and although it sold a formidable 100,000 units in its first few months, the popularity of Pong condemned it to the annals of video game history. These first 1970s consoles were basic in the extreme, but they allowed players to play at home, and despite often limited to one game, they were a huge success. Then came the 1980s, and everything changed in a big way. The industry made incredible advances, and with color TVs in practically every home, the industry was set to boom. Atari was still the kingpin in the early years of the decade, but the unexpected video gaming crash of 1983 saw masses of unsold titles destroyed, and the company hit a financial brick wall. It was clear that the industry needed a change, and that came in the shape of the desktop computer (more on that later). 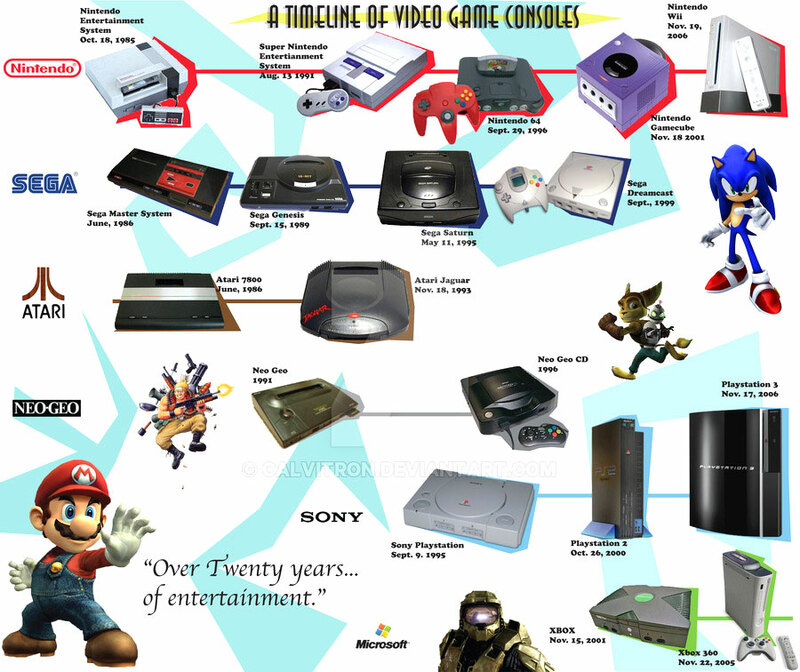 But there were also a few new players on the console gaming block, the most notable being Nintendo. In 1981, Donkey Kong came out and was an instant success. Interestingly, did you know that Mario was in the first release of Donkey Kong? He was named “Jumpman,” and as you may well know, he later enjoyed quite a lot of success in his own right. By 1985, Nintendo saved the U.S. gaming industry with their NES console, and to this day, they are at the forefront of everything that is good about the console niche. Nintendo’s hard graft in the 1980s paved the way for industry giants Sega and Sony before Microsoft got in on the action with the Xbox. So, what about the desktop? In recent years, PC gaming has seemingly been on the decline, dropping from a 28 percent market share in 2015 to an expected 25 percent in 2019. In the mid-1980s, however, it was the go-to option for gamers looking for an alternative the Atari. Home computers, such as the Commodore 64 and the Apple II, became the most popular gaming platforms of the time, possibly due to their affordable price tag. Desktops were easy to market as parents saw them not only as a device for playing video games but also, as an educational tool. The home PC was for all the family, and so sales figures skyrocketed almost overnight. With more memory and better processors, these desktops were a new world for the average gamer. They offered more detailed games with better graphics and a more immersive gaming experience. These days, PC gaming is still hugely popular, but the fact that many people now own a smartphone means that more people can play video games than ever before. So, while it may seem that fewer people play games on their desktops, the reality is that there are more gamers now than before. And most of those people game on their phones. 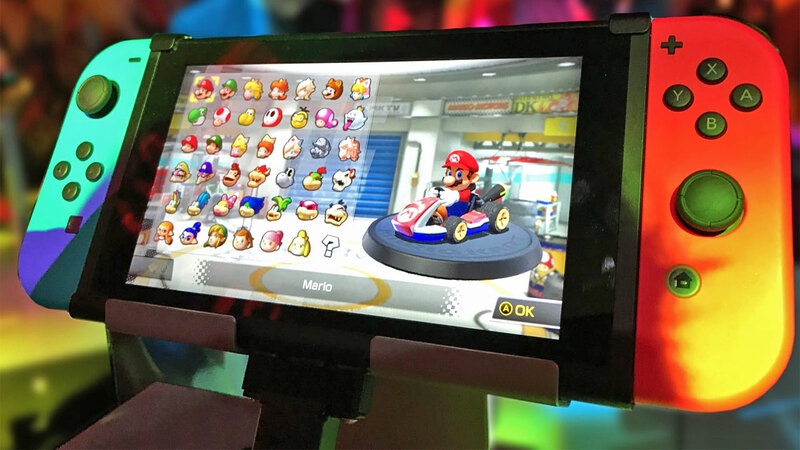 As we previously mentioned, mobile gaming is on the rise, but what fueled this shift in popularity from the console to the desktop to mobile? If you were paying attention, then you already know the answer. 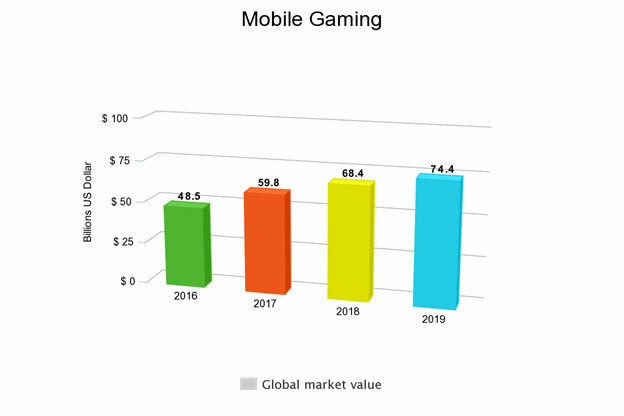 The rise of mobile gaming is intrinsically linked to the rise in popularity of smartphones, and that rise has been noted by top game developers and even those who are technically outside the video gaming industry. Take the casino and online poker industry for example. Big hitters in the industry such as 888Poker have taken to mobile gaming like the proverbial duck to water. With their intuitive app designed to make gaming on-the-go as simple and as convenient as possible, it’s clear that they know that mobile gaming is not a trend or fad. The same is true for the developers of the innumerable brain-training apps on the market. These savvy developers found a way to incorporate basic video gaming into the self-improvement industry, and it’s paying off in a big way. It’s clear that the mobile gaming niche is booming, and the rise isn’t going to stop anytime soon. And with top players from a variety of industries looking to get their piece of the pie, it’s little wonder that the market is set to grow to over $74 billion in 2019. So, what else can we expect in the world of mobile gaming? Mobile gaming is going from strength to strength. There’s no doubt that gaming is set to enjoy an unprecedented boom in the next few years. Desktop and console gaming will never die, and mobile gaming will go from strength to strength, but how will the industry evolve further? Augmented reality (AR) has enjoyed its moment in the spotlight, but this it is, of course, closely linked to mobile gaming (take Pokémon GO as an example). The next logical step in the gaming evolution would appear to be virtual reality (VR). Now, we know that VR is a little unpredictable. The niche appeared to get off the ground on numerous occasions before stalling. However, it makes sense that with the advances made in technology in the last few years, VR will have another chance to shine. Could we see more affordable VR sets that we can link to mobile gaming titles? We think so. Since the 1970s, the video gaming industry has enjoyed an evolution at an astounding rate. And by all accounts, the evolution process is nowhere near done. In the last 40 years, we’ve gone from single game consoles to smartphones capable of doing incredible things. We can only imagine what the industry will be like in another 40 years.